Why Should Golf Enthusiast Book A Golf Vacation to Miami, Florida?? --- For The Love Of the Game Of Course!! Doral Golf Resort & Spa is the perfect place for golf lovers!! It holds five championship 18-hole golf courses: the legendary TPC Blue Monster, the Greg Norman-designed Great White, and the distinctive the Red, Gold and the new Jim Mc Lean Signature Course. 45 years and counting. That's how long the Blue Monster has been hosting some of the most prestigious PGA Tour events. 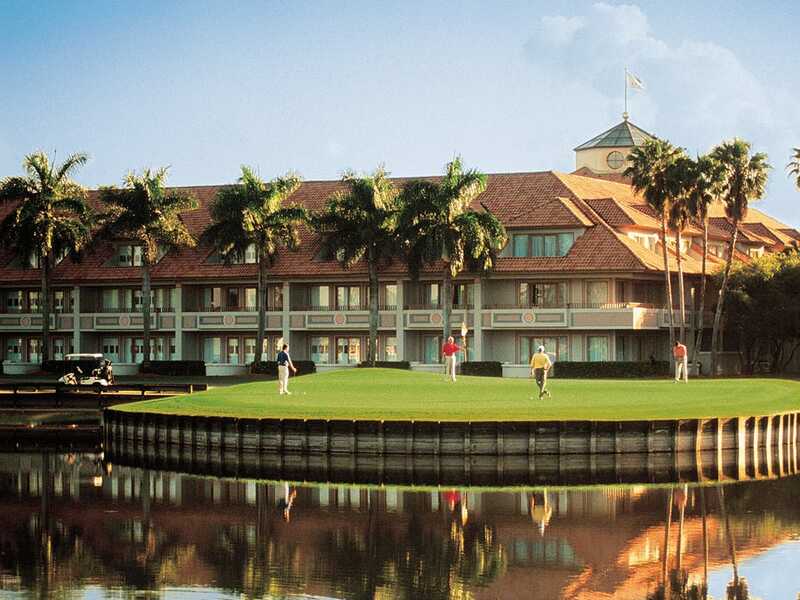 It is also the home of the World Golf Championships – Cadillac Championship. And the biggest names that the golf-loving public has seen must have set foot and braved the many challenges of this massive 18-hole golf course. It measures 7,536 yards from the longest tees. Thankfully enough, there are three other tee options to counter the “monstrosity” of this golf course. But this has got to be the prettiest monster in the world with its long fairways, deep bermuda rough and assorted water hazards. The signature hole, the 18th with the fountain, is hailed by GOLF Magazine as on of the world's top 100 holes. Repeat: world's. Greg Norman knew how to make his signature seen, felt and remembered in this Miami creation. The Great White Course is the only golf course in the entire Southeastern USA that uses coquina for bunkers. Countless palm trees and shaped Scottish-esque bunkers line the fairways and pair with water hazards that make an appearance on 14-of-18 holes making the 7,171 yard, par 72 course as beautiful as it is challenging. Traditional Florida golfing – greens, sand, water, palms, and fairly challenging play, this is the best and most accurate description of the Doral Gold Resort. The 6,659 yard, par 72, course features three sets of tees for the enjoyment of golfers of varied skill sets. Corporate tournament organizers prefer the Red Course amongst the Doral courses for their events. This is largely due to the fact that this is the course that offers the fairest brand of challenge that will be suitable for golfers of all skill levels. The medium length course measures 6,101 yards from the longest tees, par 70 and is known for its two island greens on the 6th and the 14th. 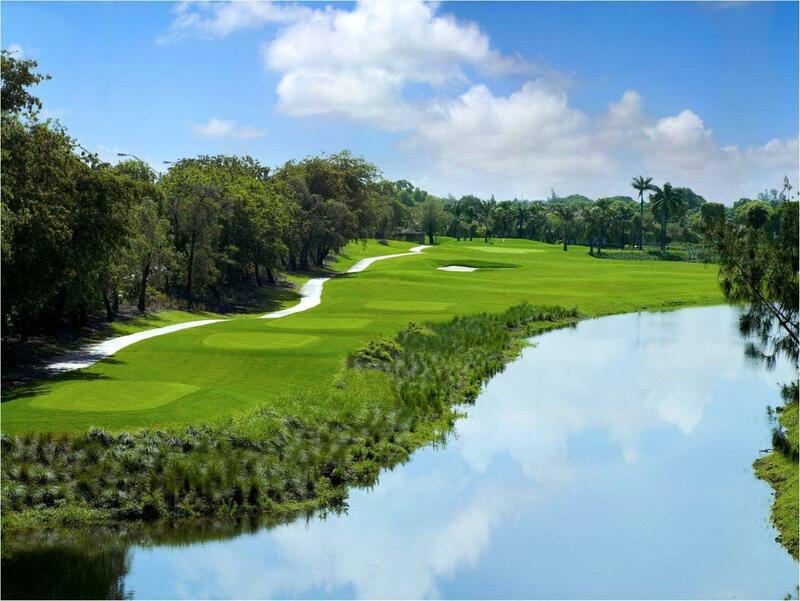 Home of the PGA Q-Tour Finals, the Jim McLean Signature Course or the Silver Course is a challenge not only for golfers of varied skill levels, but a challenge to the traditional Florida layout. It features elevated tees and narrow fairways that give an interesting twist to the usual golfing experience in the Sunshine State. The McLean Course measures 7,105 yards from the longest tees, par 72. Contact our Golf Zoo Travel Specialist and book a vacation to Golf Courses in Miami, Florida Today! !